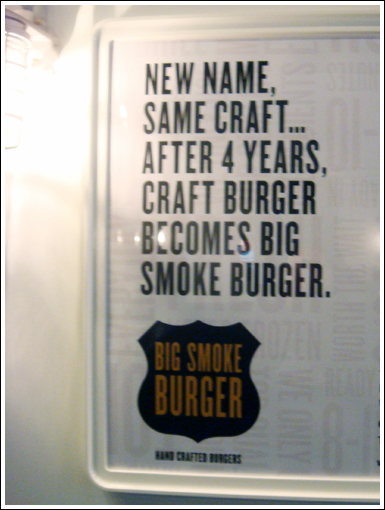 Fun fact: Craft Burger had to change their name in 2011 to Big Smoke Burger due to trademarking issues, though they maintain that the staff and menu would remain the same... but could the same be said about their burgers? 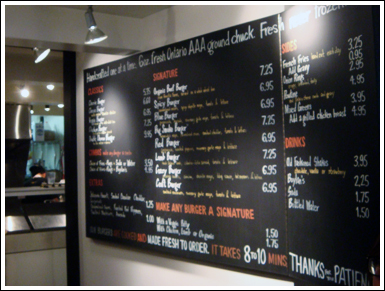 Their unchanged menu can be seen here. 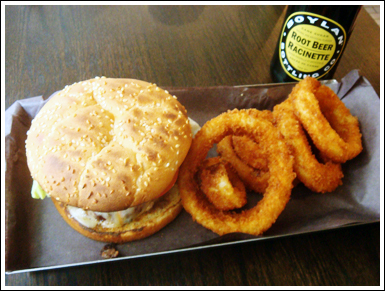 BUT OF COURSE I ordered the Classic Burger with onion rings and a Boylan's rootbeer on the side! 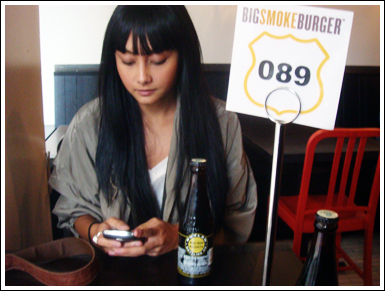 "We the new clique tell all to beware"
Okay, so naturally, one would think that I'd grant Big Smoke Burger the same number of stilettos as Craft Burger (who received 4.5 stilettos for their Classic Burger, way back when, btw), since, besides the name, they are the same exact, unchanged burger joint. So what's the beef?? (haha) Personally, I wasn't wowed this time around, matter of fact, I was quite disappointed. 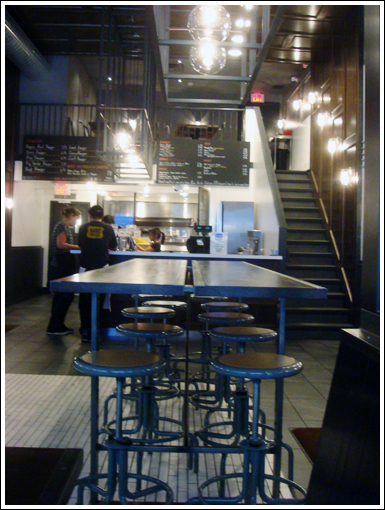 I remember Craft being such a special burger joint that was the talk of the town... what happened? 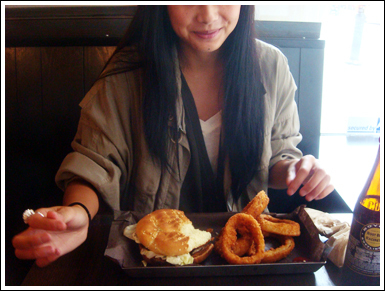 The patty was average, and the bread was overly toasted. 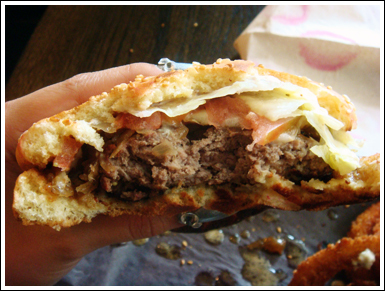 The toppings (lettuce, tomato, mayo, ketchup and mustard) didn't really seem to have an effect on the burger, neither... 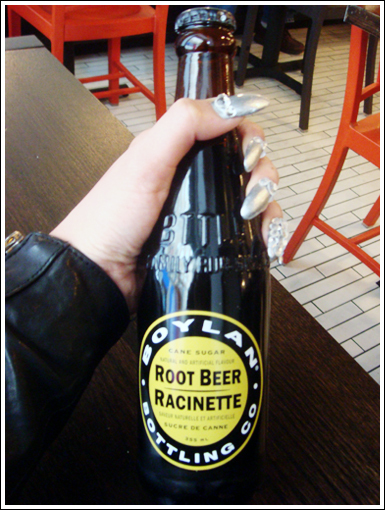 I was just not impressed! 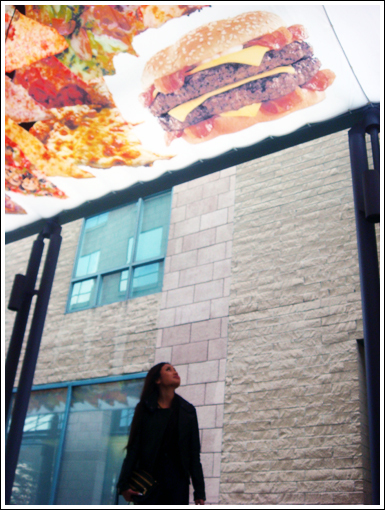 I even tried to give Big Smoke a second chance when they opened up their location in the Yorkdale food court: same sad ending, AND the service was very slow for the amount of staff they had on deck! 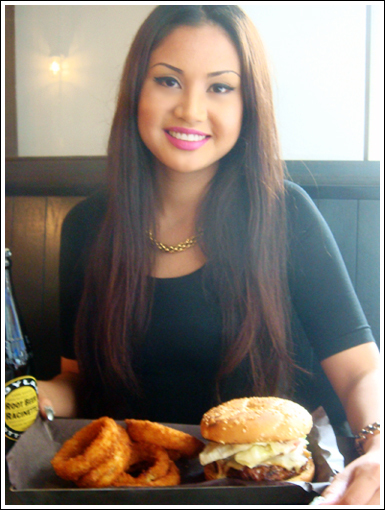 Don't get me wrong, their burgers weren't horrible, nor did they stand out... just moderate. 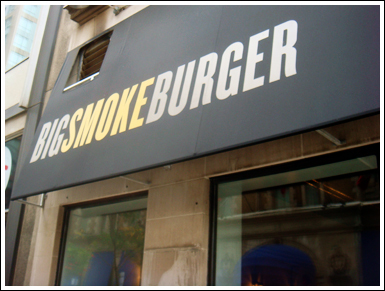 Maybe the transition from local diamond in the rough burger restaurant to (sort of) big time franchise was Big Smoke's downfall, in my opinion. 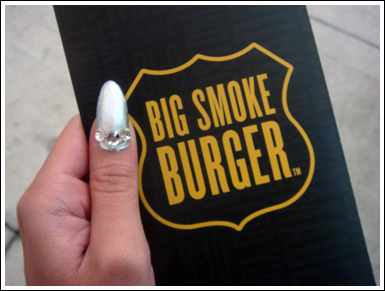 This is a classic case of quality vs. quantity, and for that, I give Big Smoke Burger 3 stilettos.